Well how about coming to the live event in person? The last seminars have been fully booked, so don't sleep on this as it may be the next big eureka moment on your own music production journey. 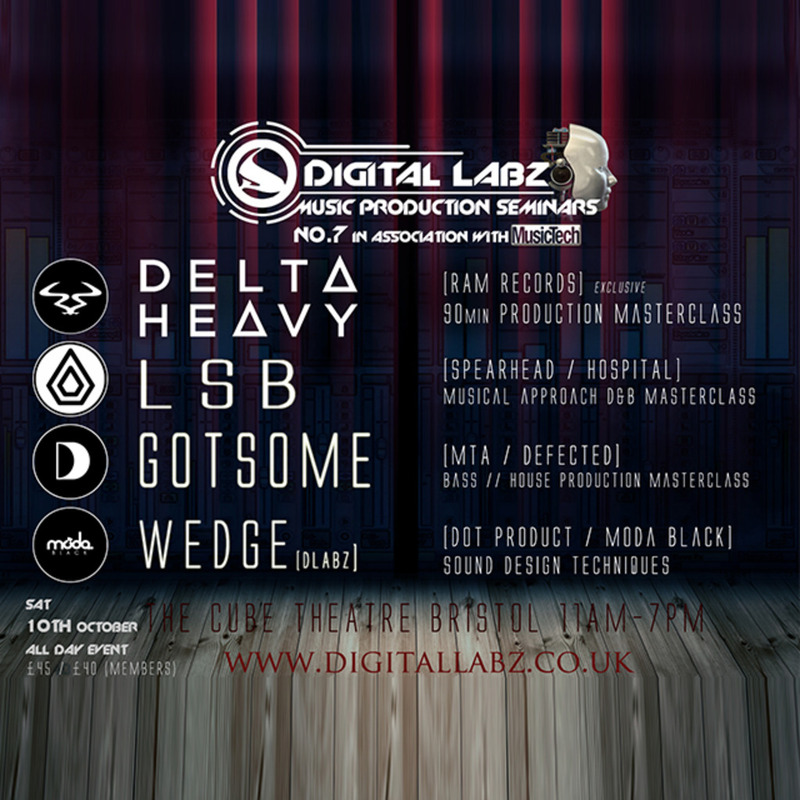 So Digital Labz are inviting you to come along and watch it take place. LIVE! A full day of cutting edge talks and live demo's from the industry's leading artists. Carefully planned and delivered on a high quality AV system. Prepare to be amazed and inspired! Further details of the venue, location and other information will be emailed to you in a confirmation after your booking.